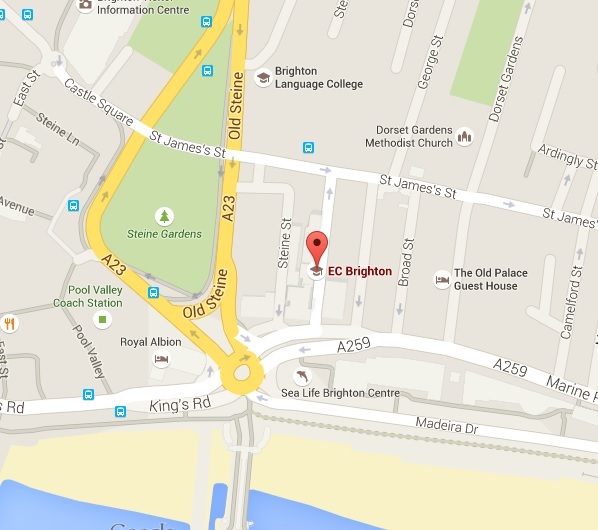 I've just spent the best three months of my life here at EC Brighton. Everyone is so friendly and helpful. I met a lot of people from different countries who are now my friends. I'm really happy to have discovered Brighton. You should definitely come to EC Brighton if you want to study in a friendly atmosphere. My name is Tim Cooke and I have been working at EC Brighton for almost six years, in both administrative and teaching roles, though I have to say I prefer the teaching as I have never been very good at sitting at a desk for very long. During the hectic summer months I assist the smooth running of our junior centre, which is always eventful and never dull, teenagers rarely being the kinds of students who let their teachers rest on their laurels! It may be a cliché but as a teacher you yourself learn something every day; it really is a two-way learning experience. In my free time I enjoy reading, watching films, and cooking, and being fortunate enough to live by the beach, I love nothing more than clambering along the shingle collecting interesting pieces of driftwood which I often turn into frames and black-boards.